Pam Walker, MhD is an intuitive, medium and healer. She enjoys helping others; whether looking for answers to questions about life’s purpose, connecting with a loved one on the other side, exploring past lives or working on health and spiritual issues. As an only child of older parents, Pam experienced loss at an earlier age, giving her empathy for others that have lost loved ones. She has been on her own path of spiritual healing and has experienced how grief and painful moments in life can affect our body, mind and spirit. Pam takes the responsibilities of being a healer very seriously and has studied and learned many healing modalities. She holds a Metaphysician Doctorate Degree from Delphi University in McCaysville, GA as well as certifications as a Reiki Master/Teacher, Medical Intuitive, Medium, Clinical and Transpersonal Hypnotherapist, Color and Sound Therapist, Ordained Minister, Spiritual Teacher/Counselor, to name a few. Pam hails from the east coast of Virginia where she owns her own business, Pathways to Healing. 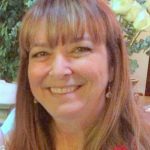 Pam is a past member of the Board of Directors at The Metaphysical Chapel of Life, in Virginia, and frequently spoke during Sunday morning gatherings and gave readings at monthly Psychic Fairs. Her joy of helping others shines through in her readings and healings. Integrative Holistic Healing Sessions – $60 for 45 minute sessions, cash. Reading Sessions – $40 for 30 minute sessions, cash.